Pope Francis did not answer journalists’ questions on what he meant by “when peace reigns,” resulting in several speculations. 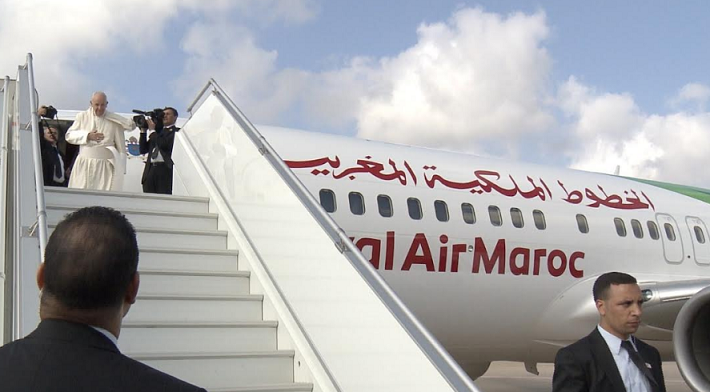 Rabat – Spanish journalists who traveled with Pope Francis to Morocco seized the opportunity to share their concerns and convey messages from inmates held at in the Castellon II prison in Albocasser, Spain. Pope Francis said that he would “like to visit Spain,” but he would do it “when peace reigns,” reported EFE. 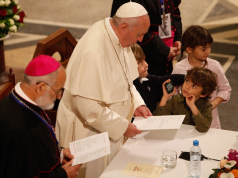 Journalists said that the pope did not give further explanation on the peace remarks. During the trip, a Spanish journalist handed the pope a letter from several people imprisoned in Castellon and asked him to visit them. The pope said that “he would like” to visit Spain and greet all inmates. Journalists also asked the pope about the Spanish government’s decision to build border fences and a barbed-wire wall around Ceuta and Melilla to stop undocumented migration. Pope Francis made his feelings on migration clear, when he said during his return to the Vatican that people should build bridges not walls. Journalists also asked the pope if he was willing to visit Argentina, his homeland. “We will if I can go soon,” said the pope. The pope spent a busy two-day visit in Morocco March 30-31. During his first day in Morocco, the pope met with the Moroccan royal family and signed an appeal to preserve the status of Jerusalem with King Mohammed VI. On his second day in Morocco, the pope visited Rabat’s cathedral where he met with priests, migrants, and Catholic Christians. 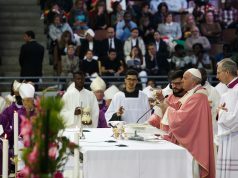 The pope then concluded his visit with a Catholic mass at the Prince Moulay Abdellah Stadium in Rabat, attended by 10,000 people from multiple countries.